Dynon is excited to announce the first expansion of its SkyView HDX Approved Model List STC to OV-100 series spacecraft. 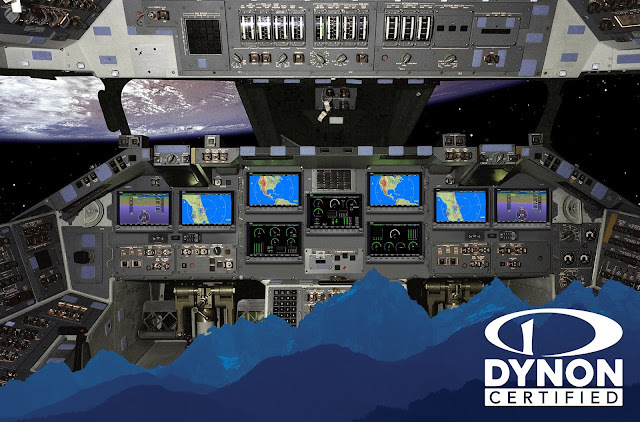 This achievement comes only weeks after the successful approval that allows SkyView HDX to be installed into many models of certified Cessna 172 aircraft. 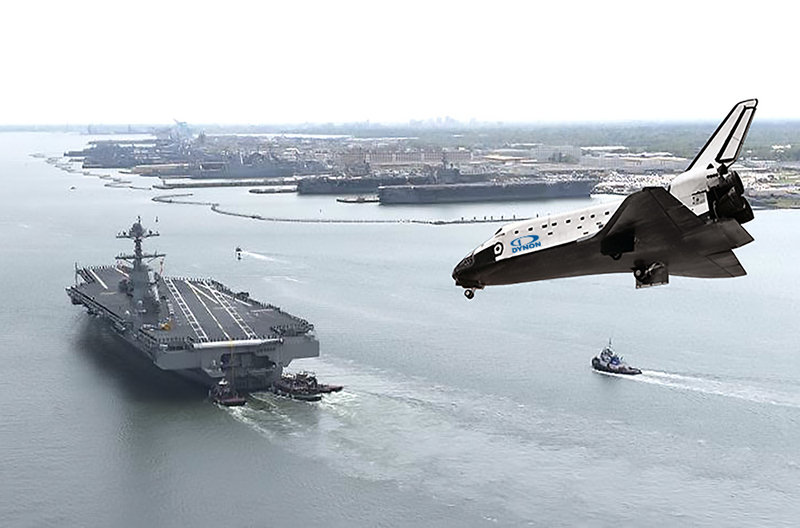 After a weeks long refurbishment process that included the installation of a Dynon-designed VTOL-enabled, scramjet-assisted, Vibranium-powered hybrid propulsion system, Space Shuttle Enterprise launched from a floating platform just off of New York City’s Pier 84. Many New Yorkers in the area were reportedly unimpressed. On-orbit, Dynonauts proceeded with a complete check-out of its avionics and propulsion systems. Following a full shakedown of SkyView HDX, the Dynon Autopilot commanded the vehicle to perform a re-entry burn, culminating in the first ever carrier-arrested, autopilot controlled autolanding on the deck of the USS Intrepid. Despite the record-breaking achievements, local New Yorkers were still reportedly unimpressed. The orbiter is now back on public display on the Intrepid. This is the second use of Dynon equipment in spacecraft: Dynon’s first space missions occurred over a decade ago, when a Dynon EFIS-D10 provided lightweight backup electronic flight instruments in SpaceShipOne’s multiple flights into space.